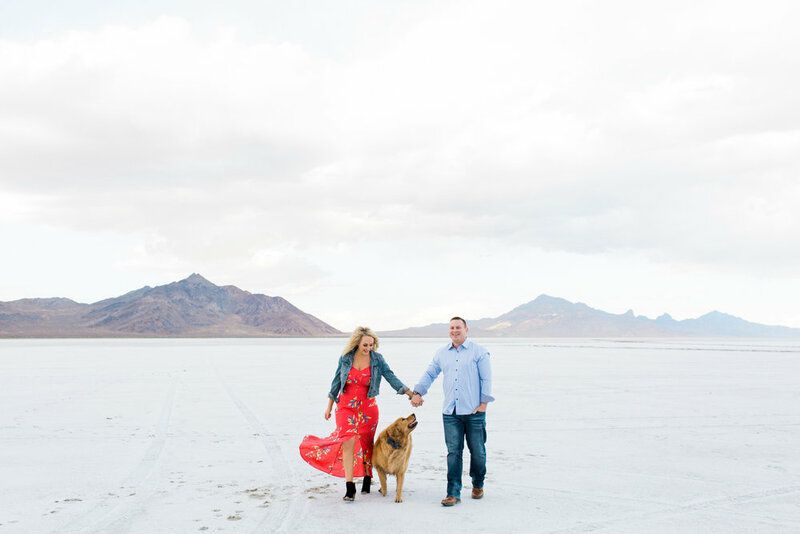 I loved working with Tara and Mike and their pup Bentley! 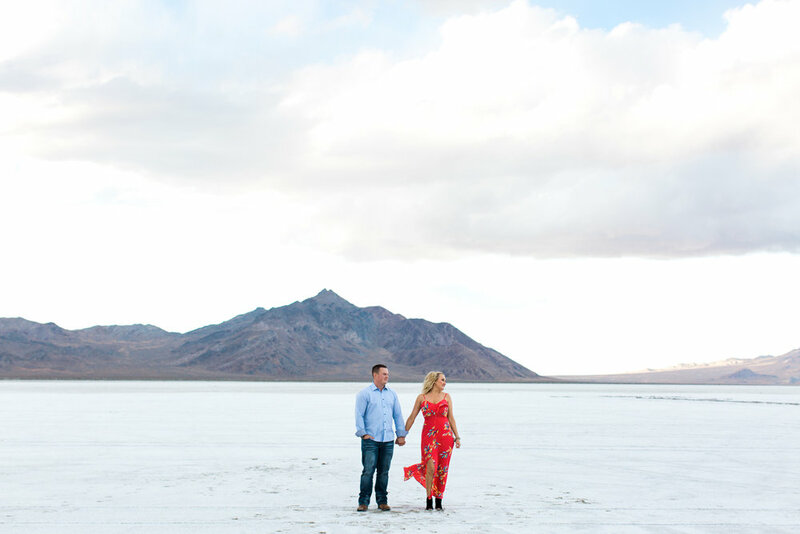 It was pretty freezing cold at the Salt Flats for their engagement session, but oh so worth it. 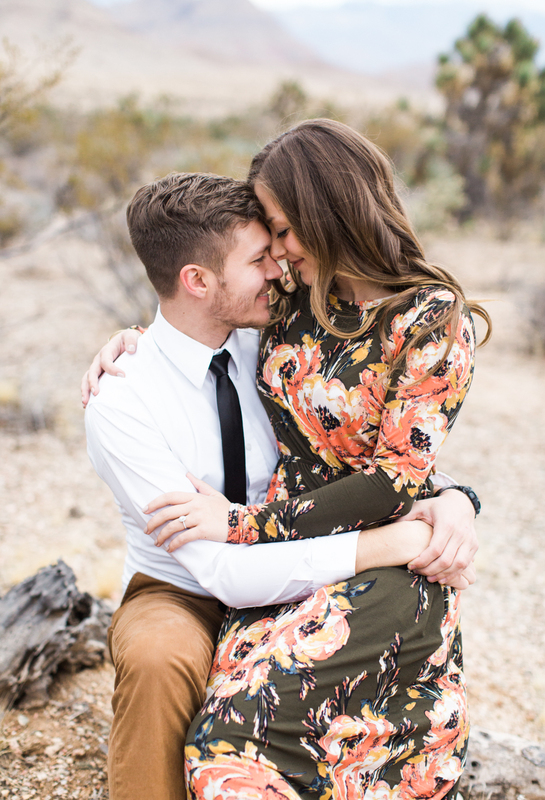 I'm looking forward to their wedding in Salt Lake this summer! 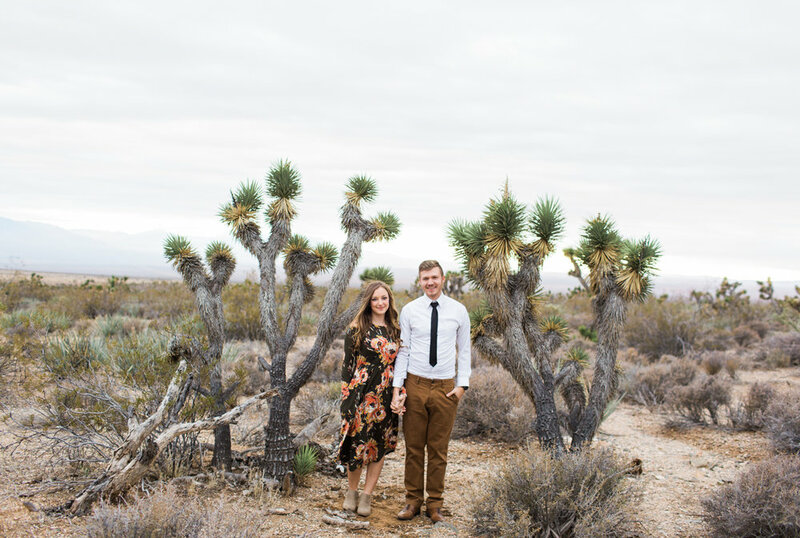 This cooking inspiration shoot is featured in the 2017 issue of Southern Utah Bride. It was so much fun to put together a small, intimate and casual shoot in such a beautiful space. Thanks for all of the talented folks who contributed! 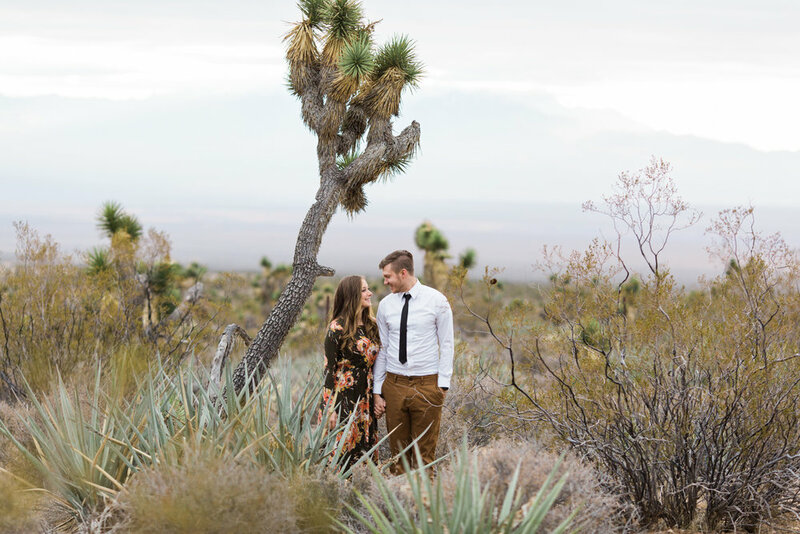 I had so much fun adventuring around the desert with these two! 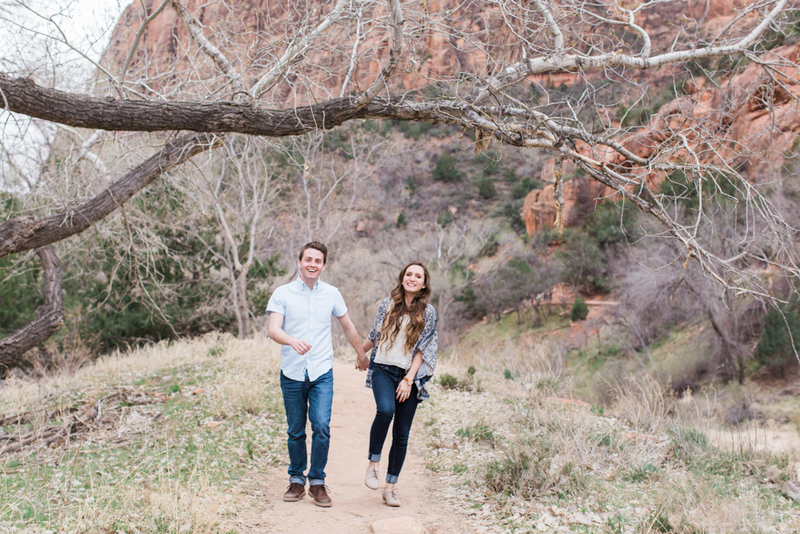 Siera and Max are an absolute blast to be around and I can’t wait for their wedding in just a few weeks. 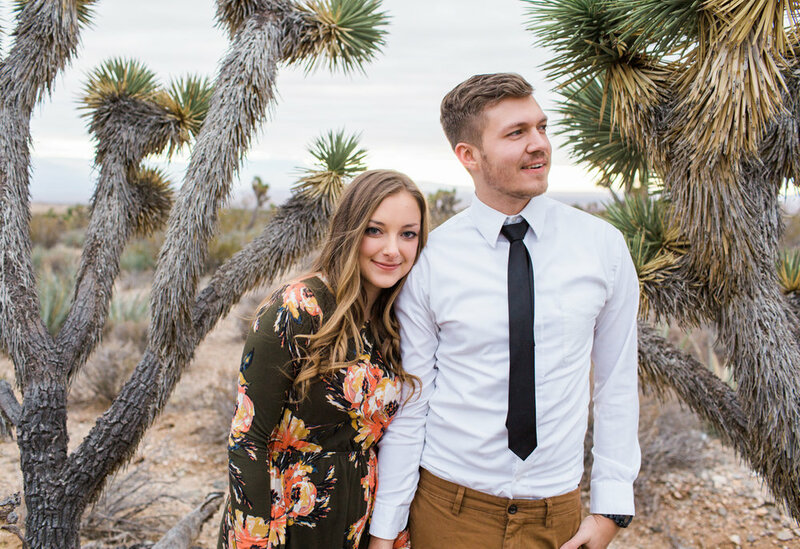 When we were planning their engagement session, Siera told me they love rock climbing, hiking, and pretty much anything that involves an outdoor adventure. We started the shoot at Ivin’s Reservoir. Sierra and Max skipped some rocks together and frolicked around on the beach. 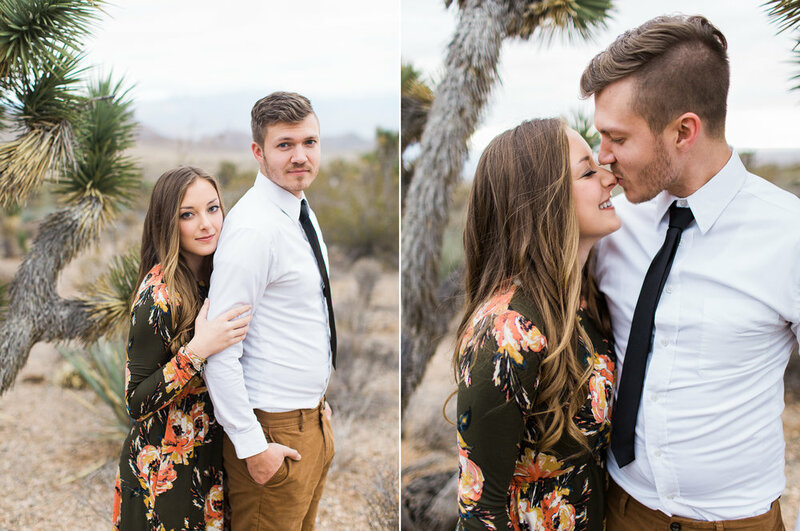 We finished up the shoot in the beautiful desert just outside of Utah where we found plenty of gorgeous Joshua Trees and a beautiful sunset. It’s February now, which means spring is just around the corner here in Southern Utah. 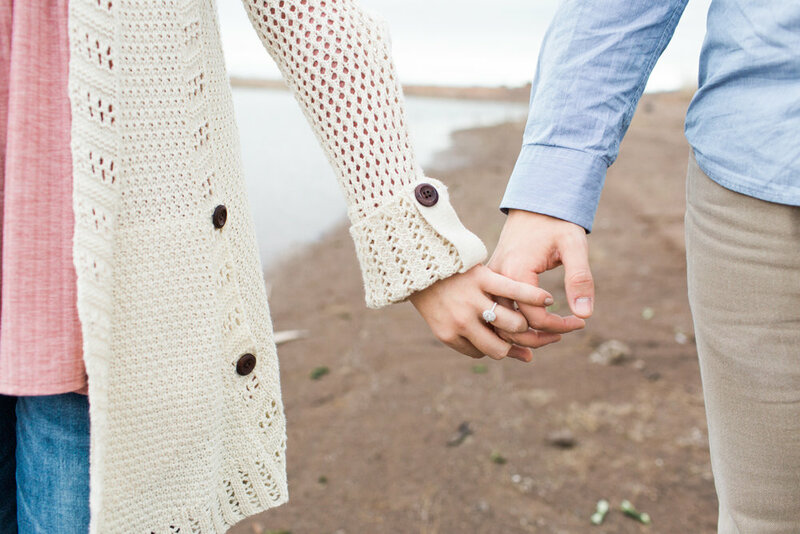 It’s got me reminiscing about one my favorite engagements shoots from last spring. 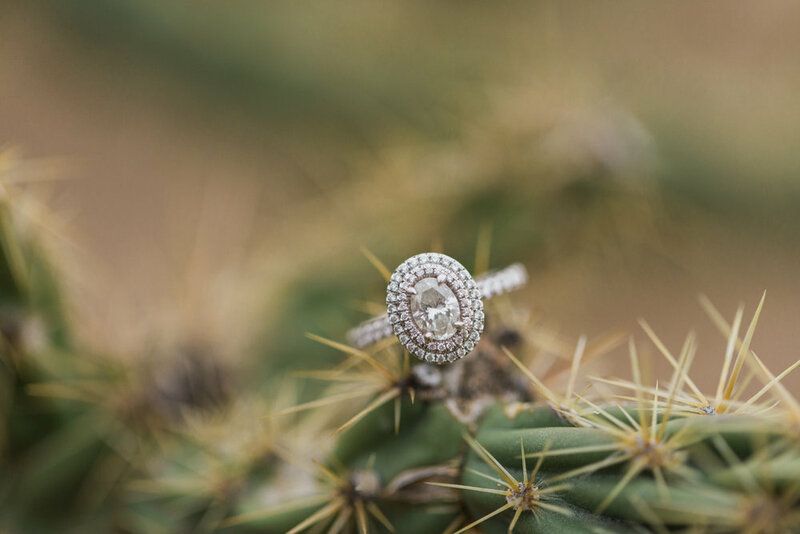 This engagement session was a dream. The energy and love between these two was so sweet and fun. Combined with the gorgeous colors and light, it was perfect! 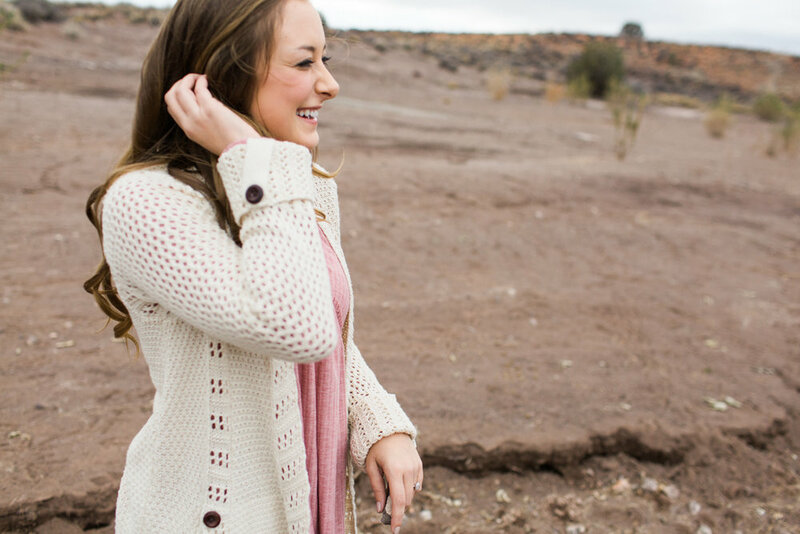 The first few weeks in March in St. George are just beautiful– the trees are all in bloom downtown, the desert comes alive with color… It’s my absolute favorite. 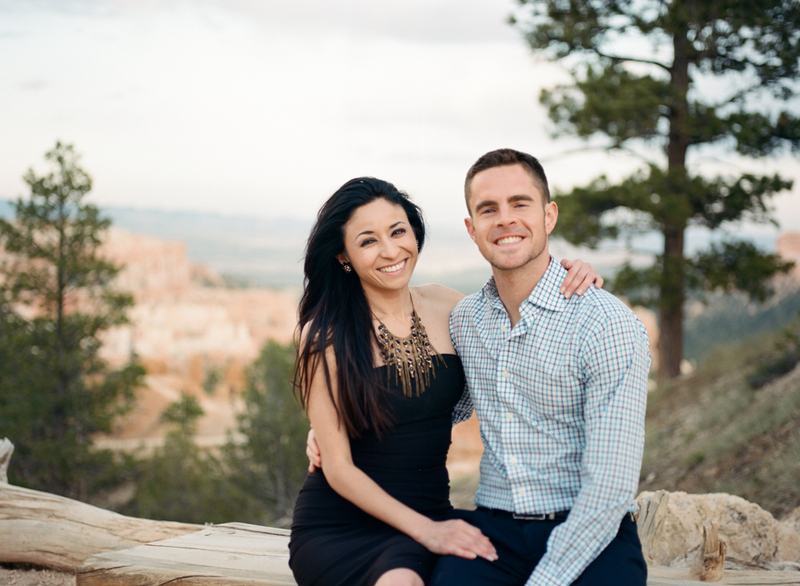 I loved working with Tori and Jose and will be sharing their wedding tomorrow! 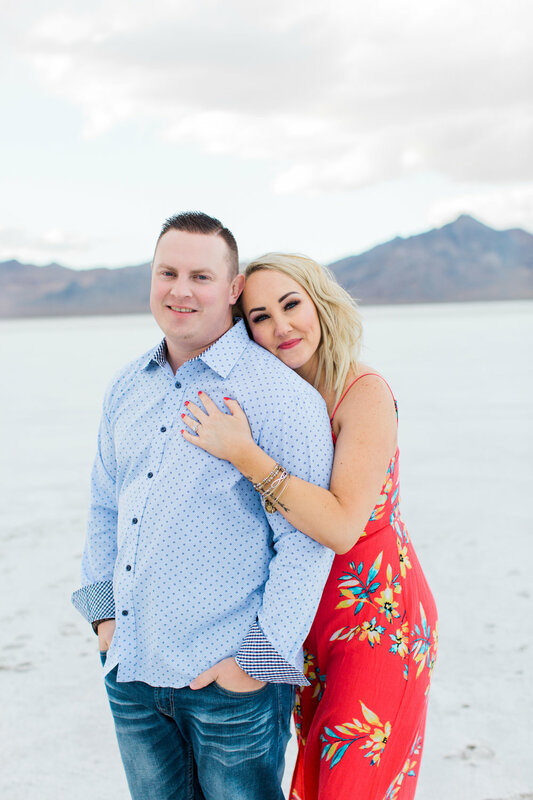 I was thrilled to get to work with Devin and Ashley for their engagements, bridals, and wedding day last spring. They are the sweetest couple, completely beautiful, and have the best chemistry. I mean, it’s pretty obvious from the photos that they’re crazy about each other, right? Zion National Park is such a gorgeous setting any time of year and we were able to get some beautiful shots with the first signs of greenery. We started out at Grafton Bridge in Rockville and then ventured into Zion. I will never tire of shooting at this place. It’s simply the best. Thanks for adventuring with me, Devin and Ashley! I’ll be sharing their bridals and wedding day here on the blog soon too. 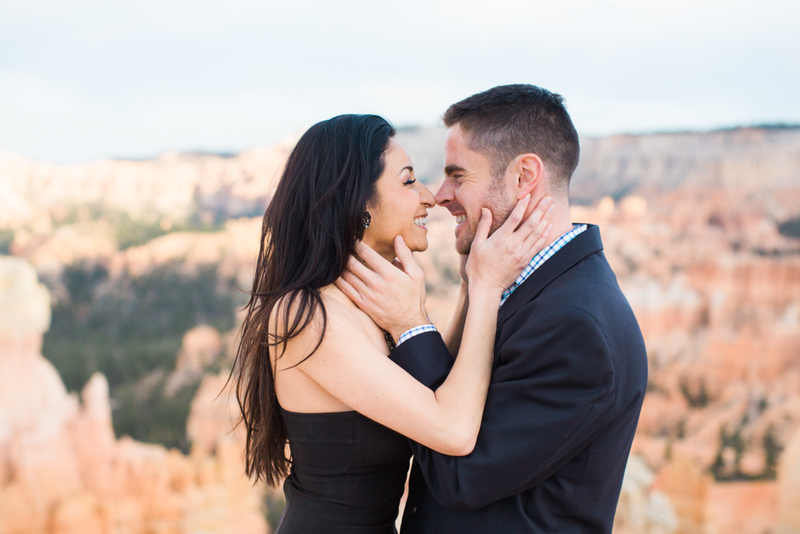 When Andy contacted me about taking some photos of him and his lovely girlfriend Vera during their trip to Bryce Canyon, I was thrilled! 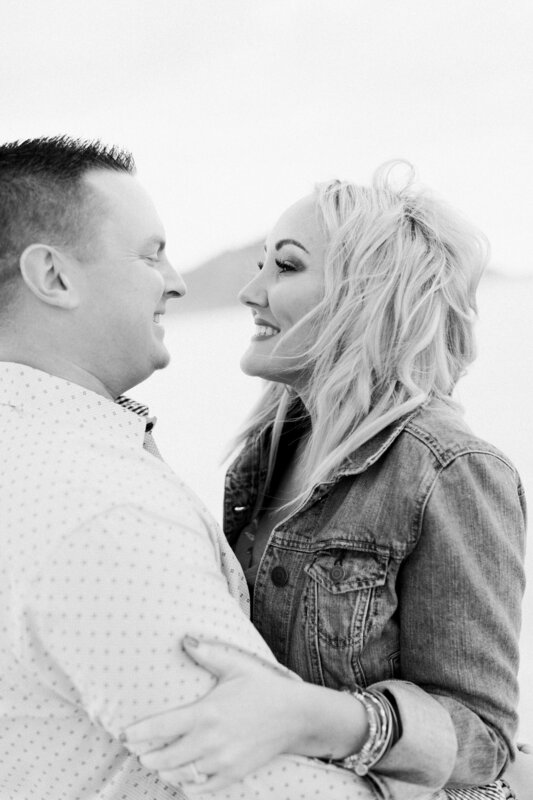 Andy is the genius behind San Diego Date Ideas and planned this whole surprise trip for his lady– just because! I thought was a darling idea and perfect timing because Joey and I were already planning a camping trip to Bryce the same weekend. So we met up for little photo sesh at sunset and it was just perfect! Vera is a photographer herself so she was so excited to be in front of the camera for once. 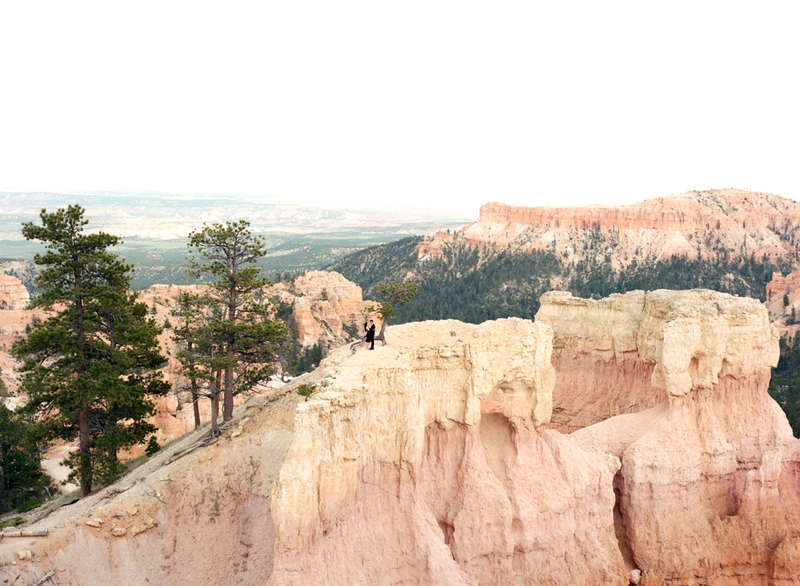 We had a great time adventuring around Sunset Point in Bryce Canyon with these two. You really can’t beat this view! 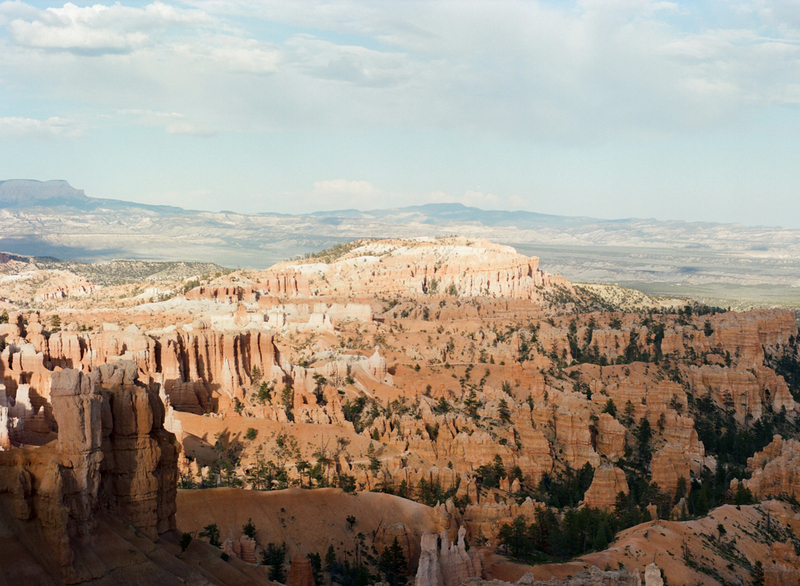 Photos are a mix of film and digital too. Developed and scanned by The Find Lab.